Tissue wrapping Bunch of 5 Red Carnation, 5 Pink Roses and 2 White lilies with green fillers and matching ribbon bow + Valentine Greeting Card (Worth Rs: 50.00/-). Send this amazing bouquet to your dear ones along with other Gifts to India through Giftacrossindia and make them feel special. 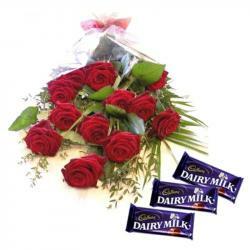 Fill the day with cheer and smiles at your dear one with the bouquet of lovely flowers. 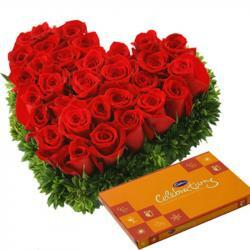 These flowers looks really ravishing and come neatly wrapped for adding quality. 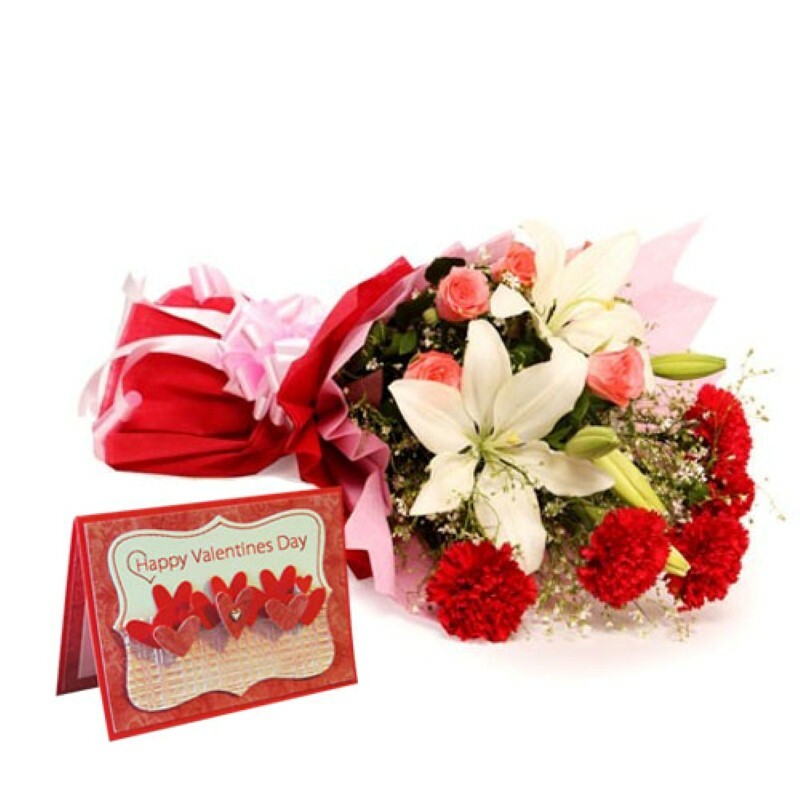 Express your emotions with this bouquet of mixed beautiful flowers and Valentine Card. Flowers have hidden meanings as per their color and number. This is one gift that will be love by anyone on any occasion. 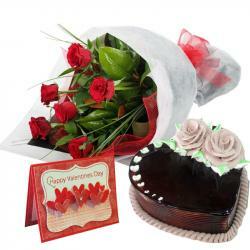 Specially to loved filled occasion like Valentines Day. 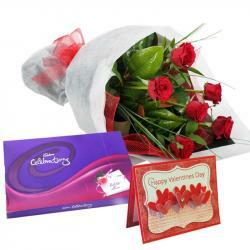 Product Includes : Bouquet of 12 Mix Exotic with Seasonal Flowers along with Valentine Greeting Card.